It's been a while since i last posted about some of my great finds. I love bags.... I had loads of them that I don't know how to keep them anymore. I don't usually buy signature bags I just buy what ever satisfy my taste and what I can use everyday as I am a busy person ( i know...). 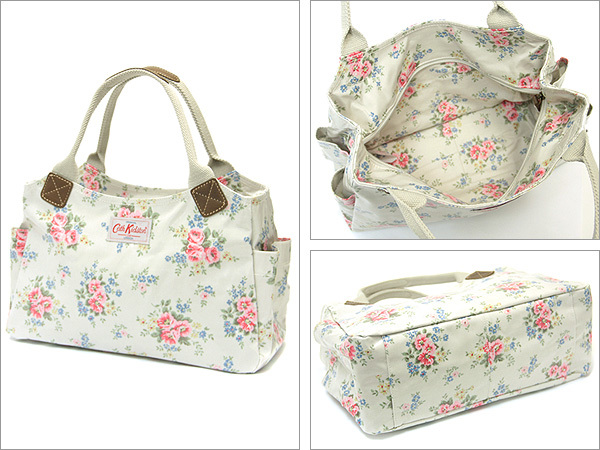 So here I am looking at my bags and I just realized that I had around 4 pieces of bags from Cath Kidston. Ok..so who is Cath Kidston? What kind of bag does she sell? Cath Kidston was born in London. She writes, designs and she's an entrepreneur. She's known for her love of floral pattern. 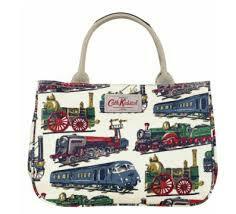 Cath Kidston bags can be bought online and of course in London and some of her shops world wide. In Dubai you can buy it from Bauhaus in IBN Batutta Mall. 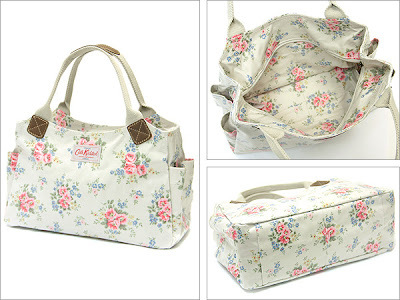 I got to know Cath Kidston through Daphne's blog (oh my Idol) and from then on I started dreaming of owning a Cath bag. 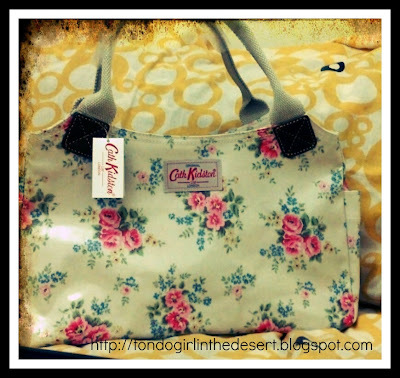 And then I met my friend Cutee who's also a Daphne follower and would also like to have her own Cath Kidston bag. And we made the perfect plan, order online and ship it here in Dubai. 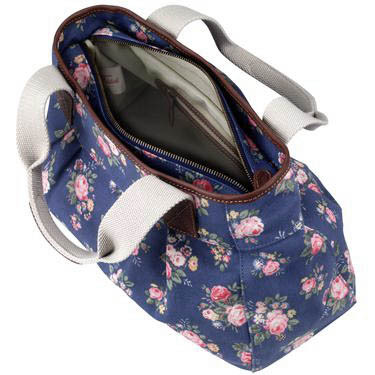 My first ever Cath Kidston Bag was the Pinny Flower Day Bag. This bag is my everyday essential. I love that it is made out of oil cloth so I don't have to worry about stains or dirt as I can easily clean it up. What I love about this bag is that I can use it in every occasion. My next one was a bigger bag. As an admin. assistant you can expect me to carry a lot of things especially if I am having events outside the office. So I chose to purchase the Notting Hill Large Zip Bag. Again this bag is made from oil cloth so it's so easy to clean and manage. I love that it's roomy inside and I can put a lot of my things. I bought this on sale i guess it as 18 or 20 GBP at that time. This bag is my most frequently used bag among my Caths. I even use it as my laptop bag sometimes. 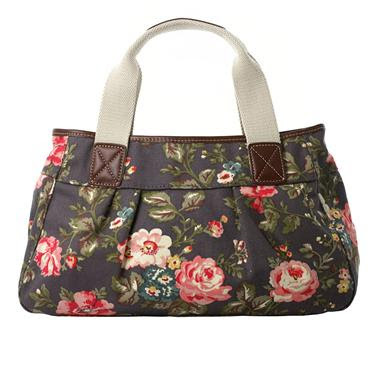 I love pairing this bag with my blue jeans as they both compliment each other. My 3rd bag was the Winter Meadow Pleated Bag. Bought this because it was also on sale at 50 % off and that my friend was the go signal that I've been waiting for to get this bag. It is made out of cotton so I have to be really careful when I am using it. I don't usually use this as I don't want it to look old right away. 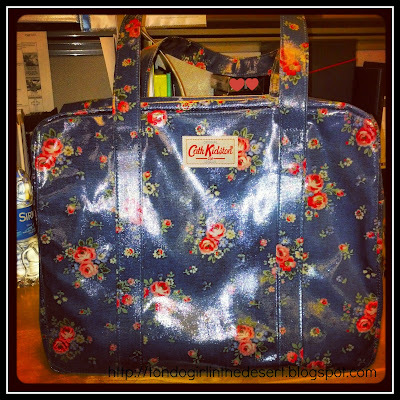 Again most Cath Kidston bags are roomy so I usually carry all my stuff in 1 bag. 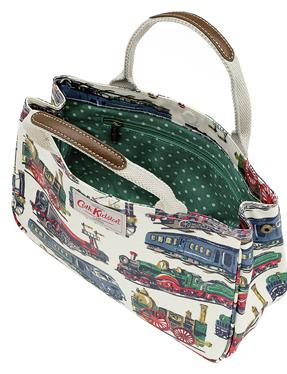 Cath Kidston is currently on sale which means another online shopping for this girl. I am so in love with Cath's Train series that I want to horde everything with the train design but since I am stingy (kuripot) I've waited for Cath to go on sale and yipee I am a happy happy girl. I just love my bag. Not the usual big bag since it's a bit small. Used once last Friday and I like the feel it of it. I can still carry all my things but with a smaller bag. It is again made of oil cloth so no pressure when it comes to cleaning it. The only down side of this bag is that the magnetic lock does not hold on for a long time and will not lock at all if I'd put a lot of things. I also bought the wallet with the same style. It has 10 slots to hold my card and again very roomy. 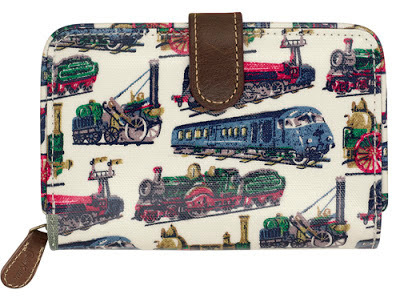 I am still eyeing the Trains Travel wallet and passport holder but let's see. And if you want to purchase a Cath Kidston bag or wallet, they are still on sale. Great post! I would definitely want one of these in the future! Hey Teresa! They're still on sale! I love that Winter Meadow Pleated Bag...temptation get away from me hehehe..
Those bags are pretty. I especially love the Notting Hill Large Zip Bag because it's roomie. I tend kasi to bring everything with me e. Hehe..
lovely! i can put a lot of things on it, if i own one.. is it expensive? they are still on sale! Shipping would be 10 GBP. Thanks Jan! Yey for floral bag! Thanks Farida! I love big bag! Love the APARADOR word! hahahhaa i usually carry a lot of my stuff kaya i really like big bags. Same with Maye,I also prefer large bags as I used to bring a lot of things with me when going outside the house. hehe. They have nice changing bags! and this is currently on sale! i love the prints in these bag. You are a bag lover, indeed! I also learned about Cath Kidston from Daphne. Hi there! :) Blog hopped my way over. 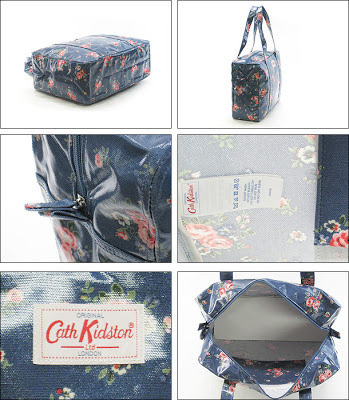 My sister is crazy over Cath Kidston and I am too. I hope they open a store here! I'm based in Abu Dhabi. How much does the shipping cost from UK to here? :D I want to order from the online store too! Hi Gail. 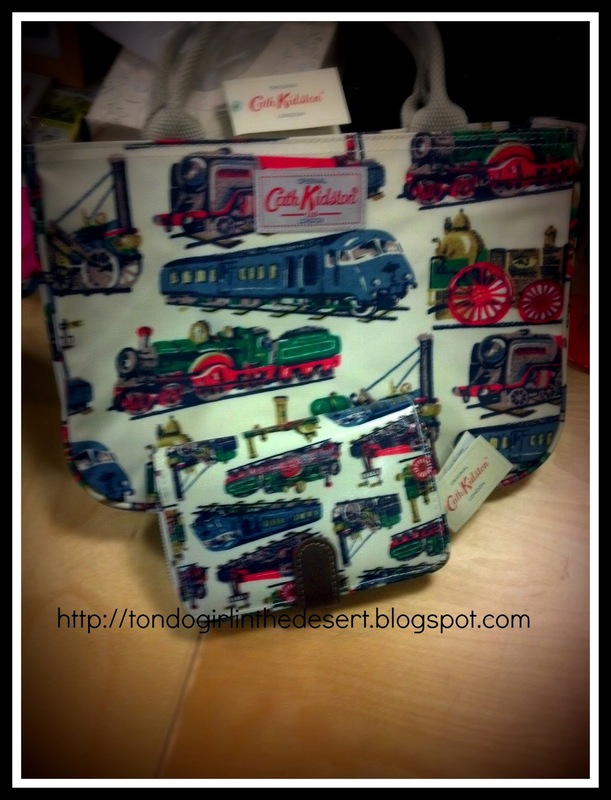 You can buy Cath Kidston at IBN Battuta Mall - Bauhaus is the name of the store or through online. 10 GBP's the minimum shipping fee.